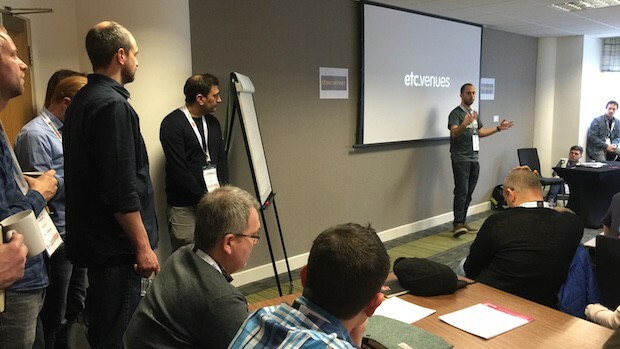 MeasureCamp is a free, informal ‘unconference’ for digital analysts, held on a Saturday in London twice a year. Its objective is ‘the transfer of knowledge’, and everyone is encouraged to contribute, either by running a session or by sharing ideas and experiences. We’ll cover some of our highlights and favourite tips from the latest event. It was standing room only in many of the sessions, with about 300 people attending from all over Europe. Three performance analysts from GDS managed to get a ticket. The first challenge was choosing which sessions to go to, with 8 rooms simultaneously hosting presentations, workshops and discussions on a range of analytics topics. Some of the recurring themes of most interest to us were data quality (and quantity), measurement frameworks and how to measure content performance, understanding the user experience, and potential uses of machine learning for analytics. what’s happening to achieve it? 2. Overall averages can be misleading, so segment by different device types and browser widths to spot issues that are only affecting a certain group of users. 3. Don’t use sessions with pages in a Google Analytics report - use unique pageviews instead. See the Misunderstood Metrics series of blog posts from Analytics Edge. 4. Examine your most and least ‘navigated-to’ pages, by calculating the number of unique pageviews minus entrances. Which pages are users choosing not to go to within the site? 5. Look at failed site searches, for example search terms with no results. (On GOV.UK we track the number of results in a custom dimension.) Which ones are phrases that users are using to find things but you’re not mentioning in your content? Which ones are about content or services that users want but you don’t (yet) offer? 6. Do you tend to discover that technical changes have been made without you knowing? Set up analytics alerts to notify you about any important changes in your data. You could also use an automated tool to regularly audit your analytics tags. The ‘Data: People: Ideas’ session considered the perennial challenge of moving beyond reporting to getting teams to act on insight. Building dashboards is often not enough. It’s important to add context, otherwise the data can be garbage. Building collaboration into a dashboarding platform would encourage others to have conversations and ask questions about the data. Béate Vervaecke led a discussion on the various different navigation and flow reports available in Google Analytics, and why their metrics are inconsistent. One of the likely reasons is different sampling levels in different reports, while a suggested cause of same-page self-referrals was refreshes from http to https. It was reassuring to hear from other analysts having similar frustrations. Yali Sassoon’s session on data warehouse and digital analytics best practices began with a hands-up to see who in the room was already using or planning to use data warehousing. Plenty of people were. That in itself prompted some discussion of why this is becoming such an interesting subject. 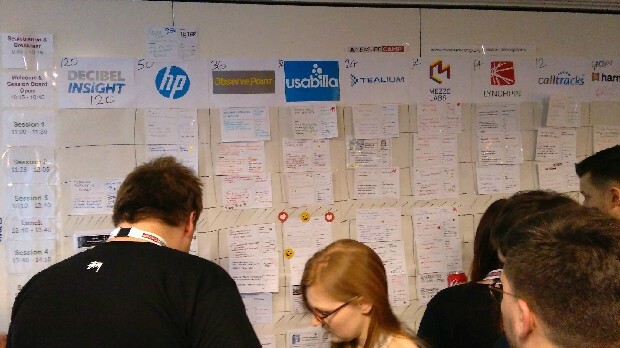 Many people spoke about ‘joining up lots of different views of the customer’, while somehow managing to avoid the MeasureCamp Swear Jar’s ‘360 degree view’. There were also mentions of mirroring Google Analytics or Adobe Analytics data elsewhere to ensure ownership of the data in the long term. Measuring attention: Ed Brocklebank began with a quick summary of the flaws in how Google Analytics calculates time on page and session duration, then went on to show us how to use timer scripts to increment a custom metric every 5 seconds while a user is active on the page. Ed went into very specific detail about his approach - how he’d arrived at the 5-second time, the merits of custom metrics and events for the timing information, and he even demonstrated the script in action (on conference wifi - brave!). 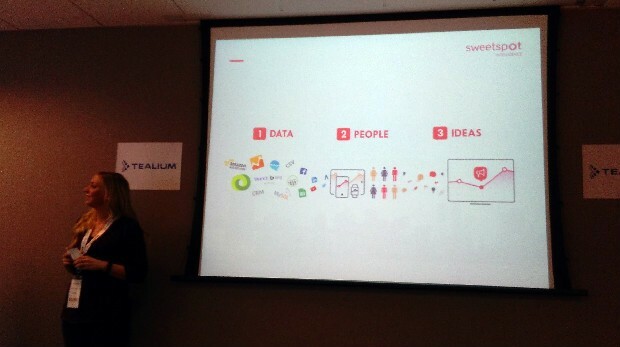 Presentation slides and blog posts will be collected on the MeasureCamp website soon. See other people’s comments and photos from Twitter in the Storify roundup. The first MeasureCamp Newcastle is on 21 May, with free tickets released from 18 March. The next MeasureCamp London will be in September, and there are other MeasureCamps around the world. Tara, Tim and Peter are in the performance analysis community at GDS. It took me several paragraphs to work out what you were talking about. I'm sorry, but this is a blog about data and it is not enough to say you are doing "analytics", "performance analysis", "digital analysis". This is the subject of 'analysing google analytics data' or 'web use stats' or maybe there is another name. Put it in your title.